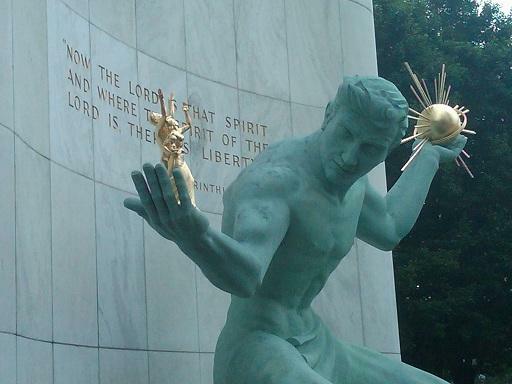 Support for Detroit a political liability? Recently, Americans for Prosperity, a group funded by billionaires David and Charles Koch, announced they would run ads against a grand bargain for Detroit and against any Republican lawmaker who votes to support such a plan. According to Ken Sikkema, while there may be some political risk involved for Republican lawmakers, it is imperative that the Legislature moves on this issue to get Detroit out of bankruptcy promptly. This week, Jennifer White, host of All Things Considered, examines the latest developments surrounding the Detroit bankruptcy case. Emergency manager Kevyn Orr spent two days in Lansing this week, trying to galvanize lawmakers to support a grand bargain to reinforce Detroit pensions while protecting the Detroit Institute of Arts. The state is being asked to contribute $350 million, but House Speaker Jase Bolger has balked at the proposal. Ken Sikkema emphasizes that because it is an election year, Speaker Bolger will have a difficult time getting full Republican support to contribute state money to help with Detroit’s financial woes, and that in order for a deal to proceed where the state will contribute financially, it will rely on bipartisan support. This week, the state legislature has been steadily moving on a number of items that had trouble gaining traction in the legislature. Progress has been made on funding for roads, teacher evaluation legislation, and state support for the Detroit bankruptcy. With both the August primary and the November election approaching, state lawmakers moved on these issues in order to complete the budget by early June. 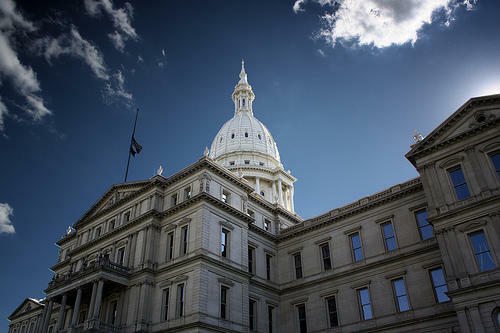 Jennifer White, host of All Things Considered, spoke with Ken Sikkema, former Senate Majority Leader and Senior Policy Fellow at Public Sector Consultants, and Susan Demas, publisher of Inside Michigan Politics, about the recent developments in the state legislature. JP Morgan Chase is expected to announce it’s investing $100 million in Detroit. Lessenberry also gave an update on the minimum wage debate in the state legislature. 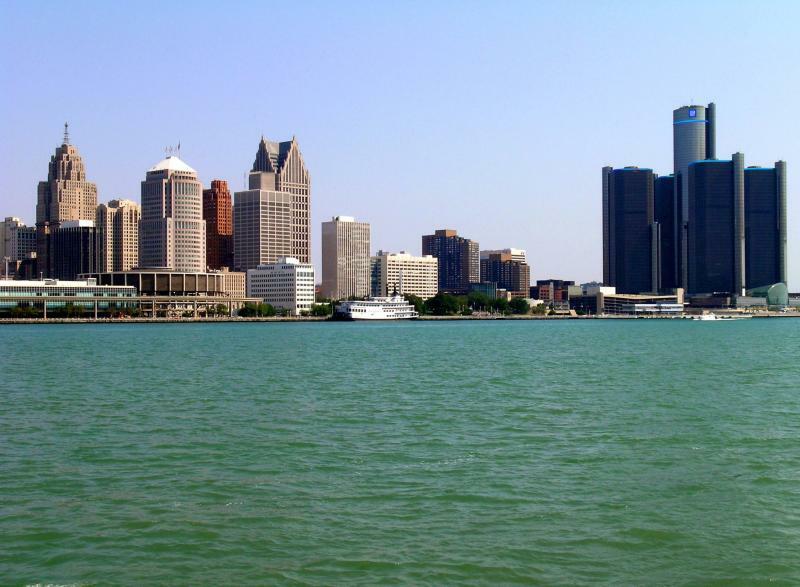 Should businesses donate to help Detroit through bankruptcy? An interview with Tom Walsh. A state House committee is expected to vote today on Michigan's proposed contribution to the "grand bargain." That's the name of the agreement that softens the blow to city pensioners, while protecting city-owned treasures at the Detroit Institute of Arts. The $816 million grand bargain draws money from local and national foundations, the state, and the DIA. Detroit Free Press business columnist Tom Walsh believes it is time for another face at the grand bargain table: business. 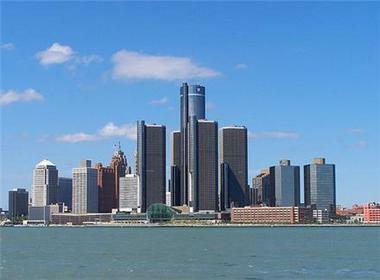 In a recent column, Walsh said, "The business sector must ante up to get Detroit out of bankruptcy fast." He joined us to explain to us why. 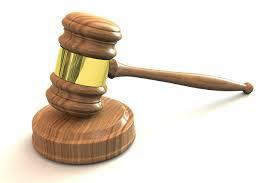 Governor Snyder hopes the State House will make progress toward approving the ‘Grand Bargain’ this week. LANSING, Mich. (AP) - Mediators in Detroit's federal bankruptcy case say that building trade unions have agreed to contribute to a fund to cover retirees' benefits. Some legislative Republicans have made union contributions to the pensions a condition for state aid, designed to protect the Detroit Institute of Arts' collection from sale to cover the costs. A state House committee is to vote Tuesday spending $195 million to help Detroit emerge from bankruptcy. Will objections slow Detroit's trip through bankruptcy? Detroit’s bankruptcy process has been speedy so far--but hit a few apparent stumbling blocks last week, as creditors filed a slew of objections to the city’s plan of adjustment. They included representatives for some Detroit bondholders, who are upset about the proposed “grand bargain” to use more than $800 million to minimize pension cuts, and protect the Detroit Institute of Arts from possible liquidation.